This is the big one, the charity running event that still dwarfs all others! 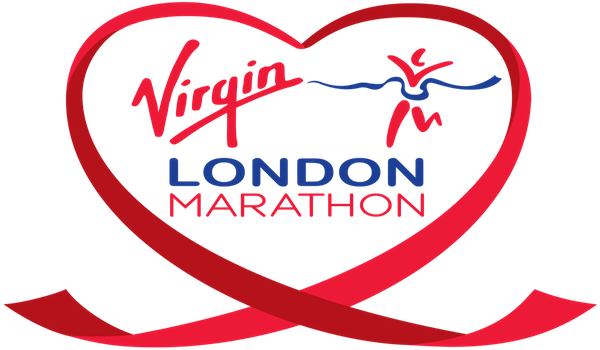 Every event in the world looks at the Virgin London Marathon as the pinnacle in regards to charity involvement, support and fundraising. With a spectacular course that takes in all of London's greatest and most historic sites including Big Ben, The Houses of Parliament, Horse Guards Parade and the Mall. If you missed out on a place in the ballot why not apply for one of our London Marathon charity places. Nothing in your life will prepare you for running the Virgin London Marathon for charity. It will be something that stays with you for your whole life. Lining up alongside 40,000 other runners, who have collectively raised over fifty million pounds for charity, gives you a feeling like no other. The other runners are all very chatty and will regale you with stories of their fundraising and training missions. As you get started, it takes a little while to get over the line but this is often a good thing as it allows you to just about remove the lump in your throat and the butterflies from your stomach. The support almost becomes a blur as the 1000's of charity colours merge and you realise this is it! So many people have said it in the past but you almost feel as if the race has been put on just for you as you run past some seriously spectacular sites. Brilliant! Most London Marathon runners will tell you that the finish which takes you down the Mall can be one of the most emotional miles of your life and they are not wrong. People bursting into tears, friends and family trying to push their way to the front to give that last shout of encouragement. You can almost feel the thoughts of 1000's of people buzzing around you as runners remember those people who couldn't be there, the battles of their friends with illnesses and a host of other emotional memories that have driven them to complete the marathon. Depending on the type of place you have in the race, ballot or golden bond in most cases ,you will be given a fundraising target. This really is an event that is directly trying to help drum up charity support, so make sure you are in the 70% who raise over £2000. You will need to come up with lots of different ides to help you reach your target but the key is to start as early as you possibly can. Check out the run for charity fundraising A to Z for some great ideas to help you reach your target. There is nothing that will prepare you for the race day support as it is out of this world. Every street in London is lined with people cheering and shouting the names of runners as they fly past. There are 1000's upon 1000's of charity supporters who all bring a different colour to the event. It is very much like a group of nations meeting for the Olympics or a world cup. This is a flat city race and therefore using a full marathon training plan will suffice. You may never get a chance to do this race again so if are one of the lucky ones who has secured a place, go for a great time. The race organisers are the best out there, all the information provided before the race is incredible, on the day it is picture perfect and all the post race information is excellent. One note though, the race website is quite hard to navigate so ask your charities for help if you struggle in any way. 5 out of 5 Stars - it would get more if it was possible!